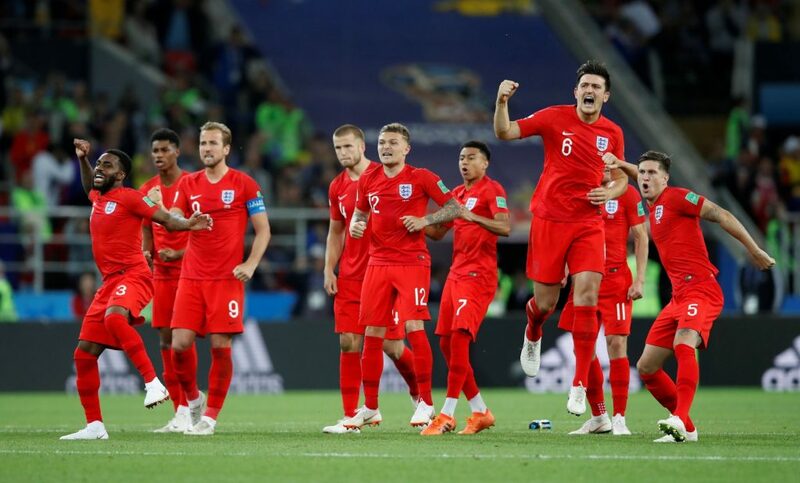 We are well into the the 2018 World Cup right now and with England giving the nation hope that they can make it to the finals, We all want the boys in red to bring it home. That being said, an essential aspect of being at the top of your game is knowing how to stay injury free, Which is difficult when your performing at your peak. So for anyone currently suffering with an injury and wanting to know how to not make the same mistakes or if you are training to be the best, here are some tips and exercises on how to stay clear of the A&E department. Here are three of the most common football injury’s. Ankle sprains – most occur to the lateral ankle ligaments (they are the ones on the outside of your ankle – between the leg and the foot). They account for around 13% of all injuries in football, and despite the ankle being extremely well designed we place a lot of stress them from internal movements but also from external factors such as divets, tackles or footwear. This picture illustrates the player spraining the ligaments of his ankle, following this you would expect to have swelling, tenderness and pain. These types of injuries can be reduced by just doing a few simple exercises. Hamstrings – Hamstrings are prone to Spains and tend to occur when running at high speed, accelerating or changing direction at high speed. There are three muscles which form the hamstrings, all with slightly different roles. For this article we will concentrate on the biceps femoris the most commonly injured hamstring. The biceps femoris starts at the base of your buttock crosses the hip joint and attaches just below the knee on the outer side, therefore its role is to extend the hip, flex the knee and externally rotate the lower leg. If the opposite of these arises the hamstring can be put under too much stress and fail. In the video clip, we see Thierry Henry drop to the floor as he pulls his hamstring mid-sprint. The damage of these muscles can be limited by completing some of these simple drills. Our sports therapist Tom Heeley shows us how to reduce the chances of these injuries. Groin strains – The groin muscles are some of the most used muscles to pass a ball, tackle and change direction and therefore there is a high risk to overuse and acute injury. They attach to your pelvis at the front and travel down the inside of your leg to their attachment knee your knee. Pain to these muscles can manifest itself in any of these areas. These exercises can help with the progression in strength and mobility whilst contributing to the reduction in injury risk. PreviousPrevious post:FitForIndustry has launched a new website!NextNext post:The tennis season this year is stellar! How do these athletes stay on top of their game?